It may sound like an exaggeration, but it's not: making and using your own compost really can improve your garden, your life and your world. Composting reduces the landfill waste your household generates--and that's a good thing for the planet. Composting also saves you money while improving your soil. Expensive soil amendments? You won't need as many (if any) when you use compost at home. And because compost is rich in the microbes that keep disease-carrying pathogens at bay, it will also help you maintain a healthy garden. Not sure how to get started? No worries. Making your own compost is easy. Just keep these simple guidelines in mind. 1. Shoot for 50-50 green and brown. Equal parts green matter (such as kitchen waste and fresh grass clippings) and brown matter (like straw, sawdust and fallen leaves) is the ideal diet for the microbes that break down organic materials. 2. Slice and dice for quicker compost. Chopping or shredding compostable organic matter expedites the composting process, providing more surface area for the organisms that go about the business of decomposition. 3. Think outside the kitchen. Garden waste like leaves, grass clippings and weeds; wood ash; vacuum cleaner dust; hair--lots of organic matter beyond kitchen scraps can make up garden compost. Compost activators can be expensive! To keep costs down, try alfalfa meal. It's cheap and quick-acting. Garden centers and feed stores often carry alfalfa meal. It's also available online. And if you're a cat owner, alfalfa meal can do double duty in your home as litter. 4. Add layers of activator to your compost pile. For example, after adding kitchen waste, sprinkle some activator onto the pile and moisten it with water. Activators contain both protein and nitrogen, and they'll aid the bacteria and microorganisms with breaking organic matter into compost. Alfalfa meal is one of the cheapest and most effective activators you can buy. Other natural activators include blood meal, cottonseed meal and bone meal. Barnyard manure can also be used as an activator. 5. Say no to sick plants. Because the pathogens that spread infection may survive the composting process, avoid composting diseased plants and infected plant waste. Composting sick plants may spread disease throughout your garden. 6. Don't feed the animals. Meat scraps, fish, grease and oil should not be added to an outdoor composting pile. Not only will they take a long time to decompose, but they will stink, and they'll attract animals to your compost. For this reason, some gardeners also avoid adding eggshells to their piles; however, working shells into the middle of the pile can lessen the likelihood of attracting raccoon and other egg-loving critters. 7. No pet poo, please. Manure from horse stables, chicken coops and pig pens is fine, but don't add solid cat, dog (or human) waste to your compost. Pet waste contains harmful pathogens, and it will attract animals to your compost. Because human waste also contains harmful pathogens, composting it to create humanure is a lengthy process not to be confused with regular composting. Compost that's ready to use in the garden is a deep, rich brown or black color. It has a fluffy, crumbly texture and a sweet, earthy smell. The length of time it takes to create usable compost varies. Depending upon where you olive, hole composting can take up to six months. Bin composting is usually quicker. 8. Give weed seeds a miss. Some parts of your compost pile may not reach temperatures hot enough to kill seeds. That's why it's best not to add weeds that have gone to seed to the pile. 9. Paper? It's okay. 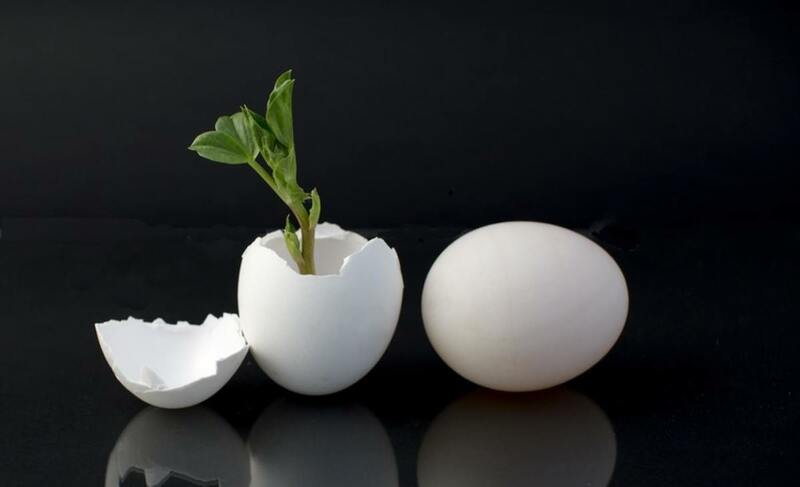 Rather than sending all of your paper products to the recycling center, add some non-glossy paper to your compost pile--newsprint, paper egg cartons, cardboard, etc. But don't compost the glossy inserts and fliers. They sometimes contain chemicals that inhibit decomposition and plant growth. 10. Milk--it doesn't do a compost pile good. Some gardeners add soured milk to their compost piles, but the U.S. Environmental Protection Agency doesn't recommend doing so. Milk and milk products, like yogurt and cheese, are comparable to meat scraps: they will stink as they decompose, and they'll attract animals to your outdoor compost pile. 11. Use a receptacle with a tight-fitting lid to collect compostable organic matter from your household. Because kitchen scraps smell and can attract gnats and other insects, you'll want to make sure your compost pail has a lid. A handle also is a bonus, making it easier for you to carry and dump the contents. 12. Don't confuse your compost pail with your compost pile. 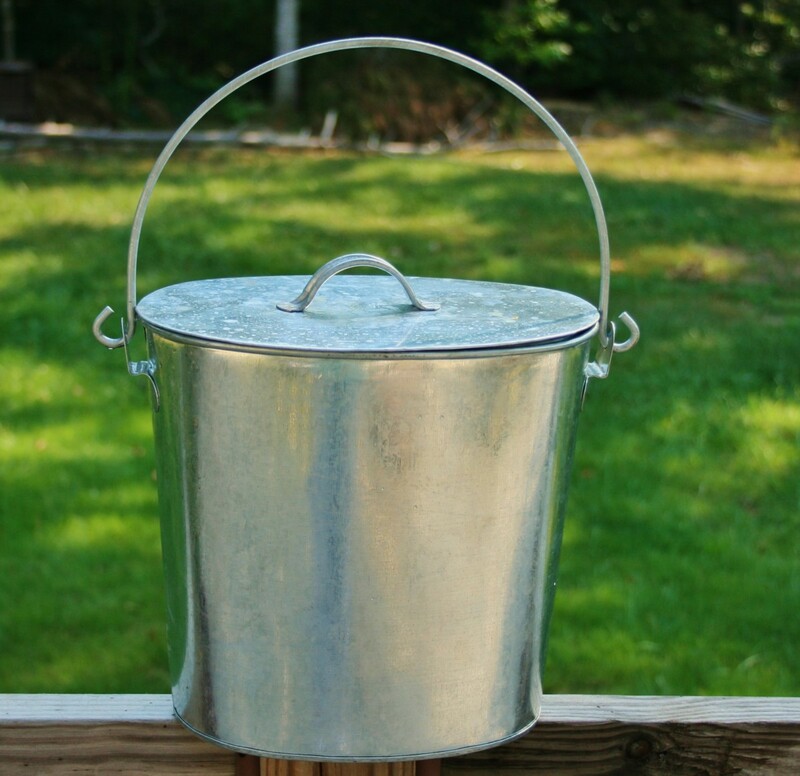 Use a pail to collect compostable household waste, and then dump the waste into the compost pile. A compost pail is not a composter, and if you try to use it as one, you'll have a stinky mess on your hands (and your kitchen counter). 13. Empty your compost pail frequently and rinse it out. Whether it's completely full or not, empty compost pails that have been sitting around for several days. Even compost receptacles with tight-fitting lids can attract bugs and/or stink if they're left for too long. Bits of decomposing vegetable scraps and other organic matter can cling to the insides and cause it to smell. 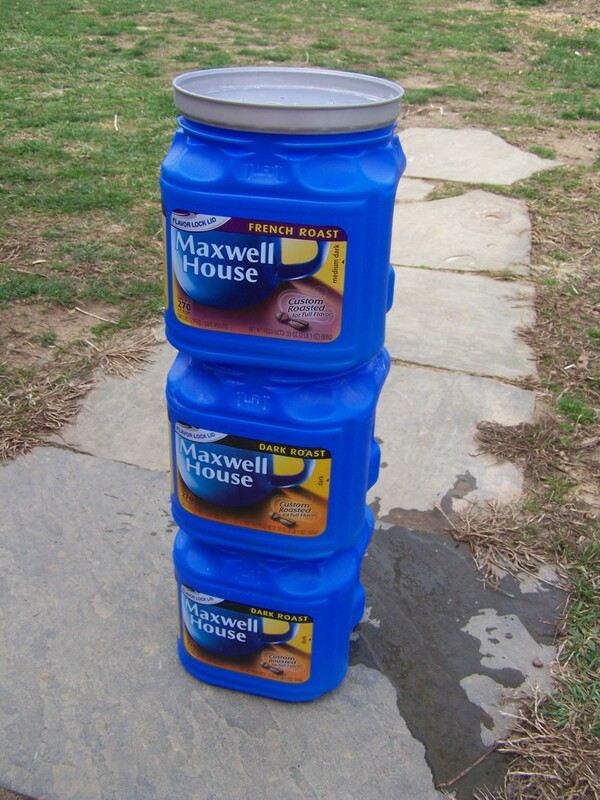 If your compost pile is dry, dump the rinse water on it and solve two problems at once. 14. Keep your compost pile moist. In order for decomposition to occur in a timely fashion, your compost pile needs heat, air and moisture. 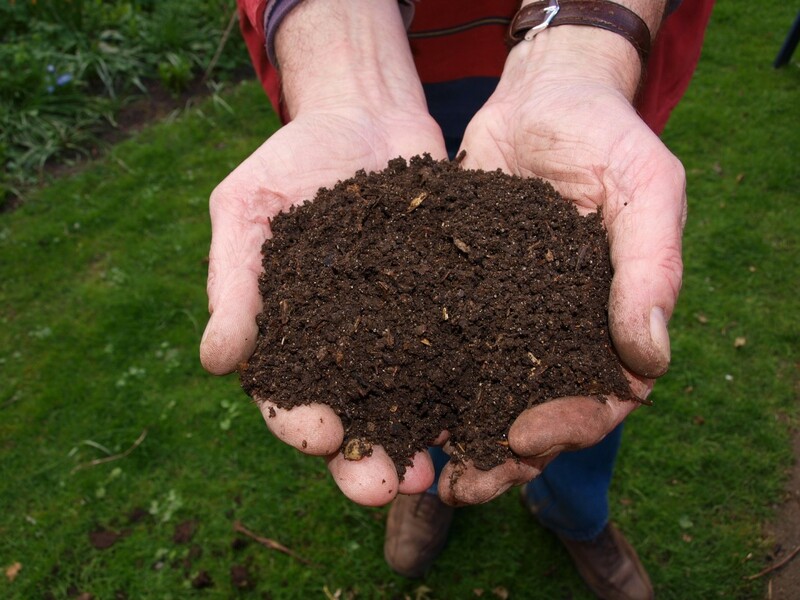 To test your compost pile for moisture, take some of it into your hand and squeeze. If it drips, your pile is too wet. Add some brown matter. If it feels as dry as dust, add water and stir. 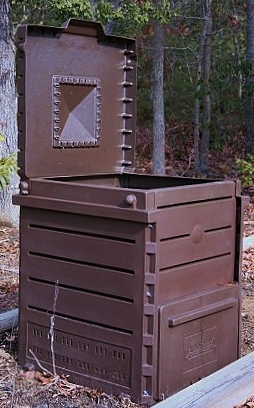 A composter is any receptacle in which compost is decomposed. A plastic bag, a garbage can, a store-bought bin, a homemade bin made of straw--all sorts of receptacles may be used for making compost. 16. Stir it up--your compost pile, that is. As noted above, both oxygen and moisture are necessary to the decomposition process. To keep your compost pile adequately aerated, turn it with a pitch fork or garden fork every week or so. 17. 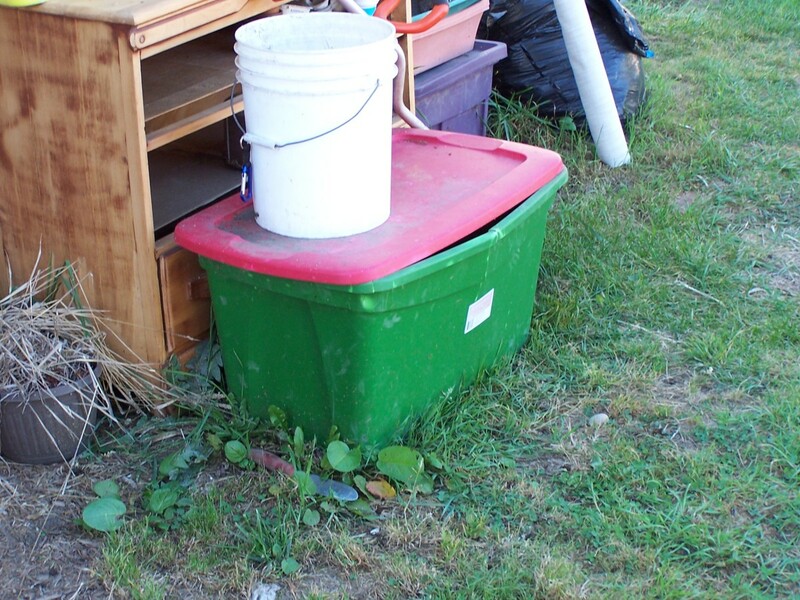 If possible, place your composter or compost pile near a water source. This will make it more convenient for you when you need to add water to the pile. 18. Your compost pile doesn't have to be in full sun. Just about any location will work, so long as the pile isn't next to trees and other plants that will leach nutrients from it. In warm climates, a shady spot often works better than a full-sun locale that causes composting matter to dry out too quickly. 19. Bigger isn't necessarily better. In fact, compost piles that are too large may be difficult to aerate. Most experts recommend piles anywhere from 3 to 5 feet in length, height and width. Smaller piles may lack the mass needed to reach and maintain the high temperatures necessary for decomposition. 20. If your yard is large, consider a portable composter. Easy-to-move wood and wire composters make rearrranging your landscape (and moving compost close to where it will be used) a snap. 20. Lots of room but little money? Try homemade barrel composters or straw bale composting bins. Barrel composters may be used year after year, and straws bales make inexpensive building blocks for temporary composters. 21. Lots of room and no spare cash? You can still compost. Simply allow your compost pile can be just that--a pile of green and brown organic matter that you periodically moisten and aerate. 22. Short on space? Use a barrel or a bag. Even in you live in an apartment, you can make your own compost on your patio or deck by placing compostable organic matter in 40 gal. plastic garbage bags or heavy-duty polyethylene garbage cans. 23. Short on cash and space? Compost holes, sometimes called trench composting, may be the answer. 24. Consider composting indoors. If you have neither the room nor the inclination to create compost in your yard, several well-rated indoor composters and bokashi kits are available. With an indoor composter, you can compost all sorts of kitchen scraps, including meats, fish and dairy products. 25. Experiment! There are all sorts of traditional and nontraditional composters you can try--from wooden structures, cement block bins and compost boxes to multi-level vermiculture composters. 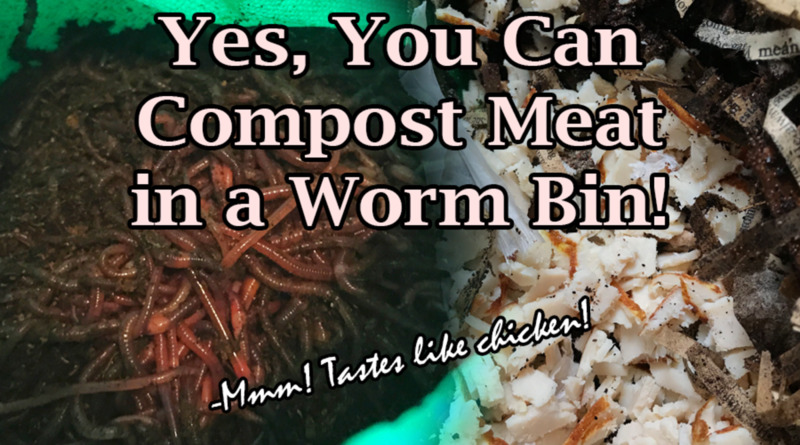 Make your own garden compost in about 4 weeks! If you don't have enough green matter on hand for this recipe, add alfalfa meal, bone meal, cottonseed meal or some other activator into the mix. Like green matter, activators are rich in nitrogen. Completely fill your compost bin or barrel with chopped green and brown matter, mixing thoroughly. After 3 days, turn the compost pile and check the moisture level. If it's too dry, add water. Continue turning and monitoring the pile every 3 days. 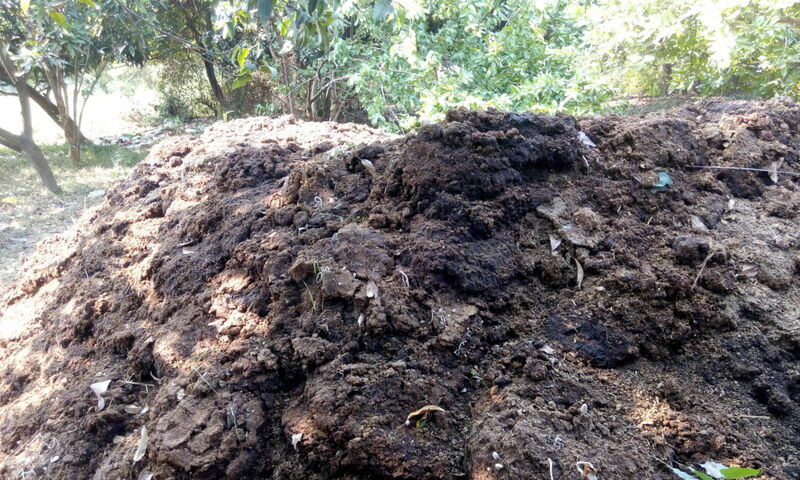 In Zones 5-7, the compost should be dark, crumbly and sweet smelling after 2 weeks. In more temperate climates, it will decompose more quickly; in colder areas, decomposition will take longer. Screen out any large pieces of organic matter and allow to age an additional 2 weeks before using. Can one put citrus and onion in compost? Can mango seeds be composted? Mango seeds, like other hard pits, take a long time to compost, several years perhaps, but eventually they will break down. Great article. I have made my own compost pile and I have found out from reading this article that I did it right. Thanks for sharing. Great Article! I've recently started a compost pile in my backyard and am looking forward to using it in my garden next spring! This is GREAT info! We just bought a house that came with a composter, used by the past owners. We weren't really sure what we could put in it, etc. Thanks!! Hi Annabelle! Awesome. When Fall gets here, you'll be able to add fallen leaves to balance out all the green. For us, that's the toughest part. Seems like we always have lots of kitchen scraps! Good luck to you! I found this article to be incredibly useful. I can't wait to try out your composting tips! Very useful article. Voted up and shared on Facebook. I have been looking at starting composting at home. We do it at the creche I work and the kids just loved shoveling it into the garden boxes. I confess I use the lazy composter technique, just throw everything in a pile and stir. Fine in the country but town dwellers may annoy the neighbors. In my home state of New Hampshire, composting my way would take years. Do you have any opinion about adding urine to compost? I am trying to compost a pile of oak leaves with urine to activate and add nitrogen, no green matter at all. They do seem to be decomposing but slowly. Thanks, Kathleen Cochran. Hope you're giving composting a try. What an interesting hub. I do have a compost heap and have in the past had a lot of trouble getting it to the right consistency and rodent free. I don't put any animal/food products in, only vege scraps and garden waste. I realize my main problem is not enough brown or dry waste. Thanks for confirming my suspicions. Everything I needed to know about composting I learned in this hub. Thanks for the info. @ Celiegirl--Appreciate the feedback! This one seemed to take forever to write. @ Glimmer Twin Fan -- I bet you'd like hole composting. Essentially, you just dig a hole about 18 inches deep, toss in compostable matter and cover it up with soil. Awesome hub. We tried composting at our old house but it never really worked. Nothing ever decomposed as much as I thought it would. I'm not sure why. We'd like to do it here, but we are 80% shade and I don't want to stick the composter right in front of the house. As always great info, and insight. Good ideas and good explanations, thanks for making it all seem simple. Great hub. Hey Daughter of Maat! We're about the same--between recycling and composting, we have almost no trash. Thanks for sharing the hub and for voting. Happy gardening! Great hub. We have our own compost pile in our backyard, and we just used it to plant some lettuce. I've never seen lettuce grow so fast!! And it looks beautiful!! Voted up and shared. 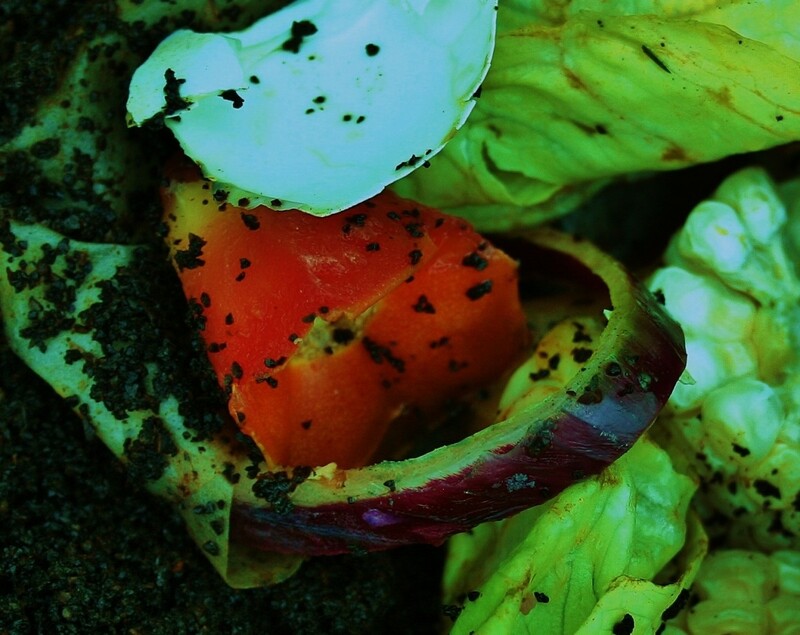 Composting is a brilliant idea, and so much better for the environment. We've dramatically reduced the amount of garbage we produce. Now we only have to take the garbage out every 2-3 weeks instead of every week!